Midway through last week, Koni and Korinna had to break from lessons to go to driving school. 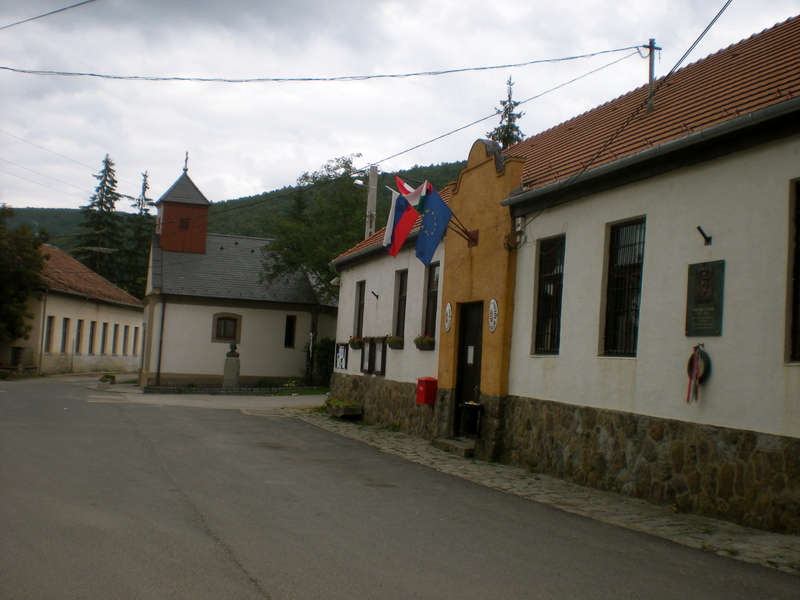 I took the opportunity to go to Vác, the most charming little town on the eastern bank of the Danube. The town itself has been around since the year 1000, and though it was destroyed by a few wars, the first in the 17th century, it’s been rebuilt and re-adorned with Baroque and Neo-Renaissance buildings, marketplaces, hospitals, cafes and churches. 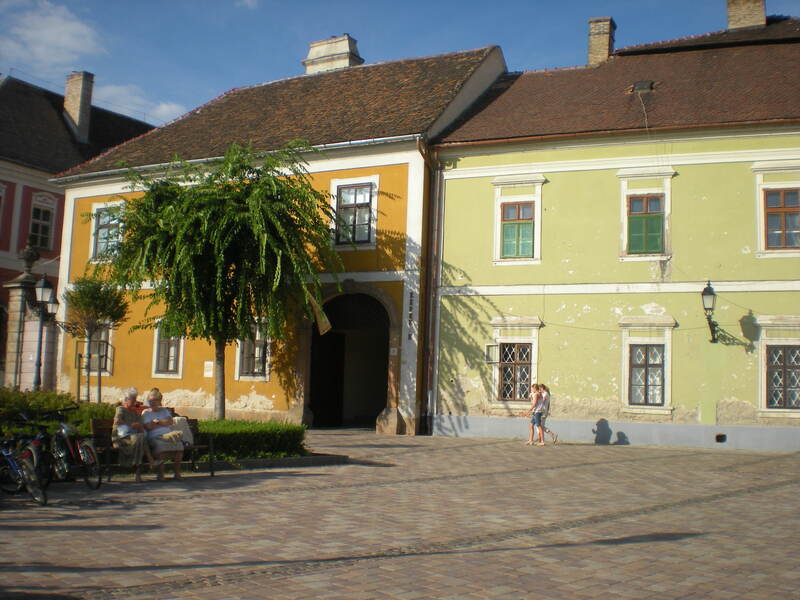 In fact it was such an empire-refuge that the Habsburg Empress Maria Theresa (champion of civil reform and education, and mother to Marie Antoinette and HRE Leopold II and 14 others) absolutely adored Vác and kept a residence here. At the northern end of the town, there is a triumphal arch (if you don’t know what it is—think Arc de Triomphe in Paris) built for her, and is still to this day is the only one in Hungary. And it’s easy to see why it was a place for an Empress. The town is utterly peaceful, even now in its “modern” age. 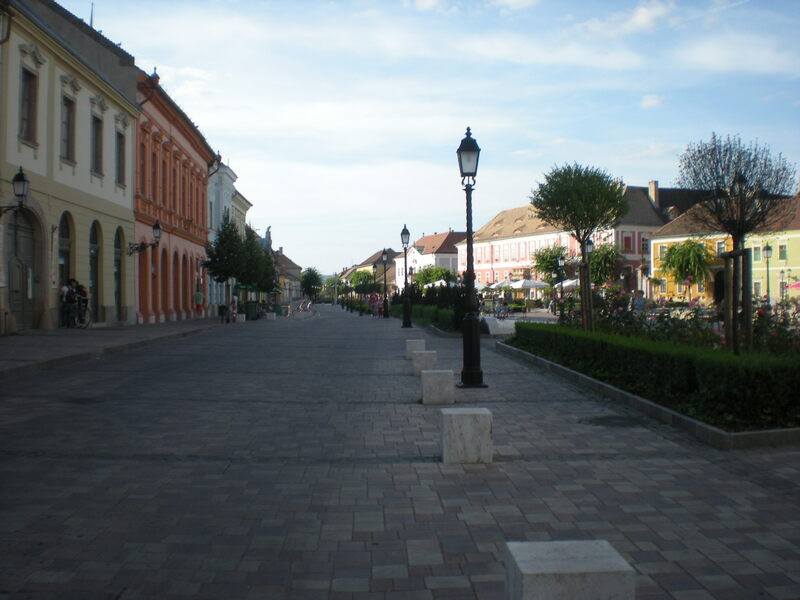 Despite it’s close proximity to Budapest and even in the last August week where most here were on holiday, the streets were all but vacant. A few old women gabbing on park benches, some teenage girls enjoying an ice cream, a group of children running in the central green while their parents looked on. But there weren’t hoards of people. It wasn’t cluttered in any way. When strolling through the alleyways where the houses are painted in yellows and pinks, you can feel like evening’s consort, the light low and cool through the trees. The lawns were manicured, the tulips were evenly planted, and the church bells rang in increments with melodies that sent the blackbirds and swallows into a cloudless flight. It’s a place of cobblestone and brick. Flowerpots in every window. Wrought-iron fences and streetlamps. I sat on the outdoor patio of a local café (with a beer and camembert and peach-stuffed chicken breast) and watched the sun slowly setting. I’d like to come back to Vác soon because I didn’t get a chance to see the Rococo artwork inside of the churches, specifically the Dominican Church of Our Lady of Victory. But I’m not sure when I’ll be back. There are hundreds of little towns to explore with countless little miracle charms. 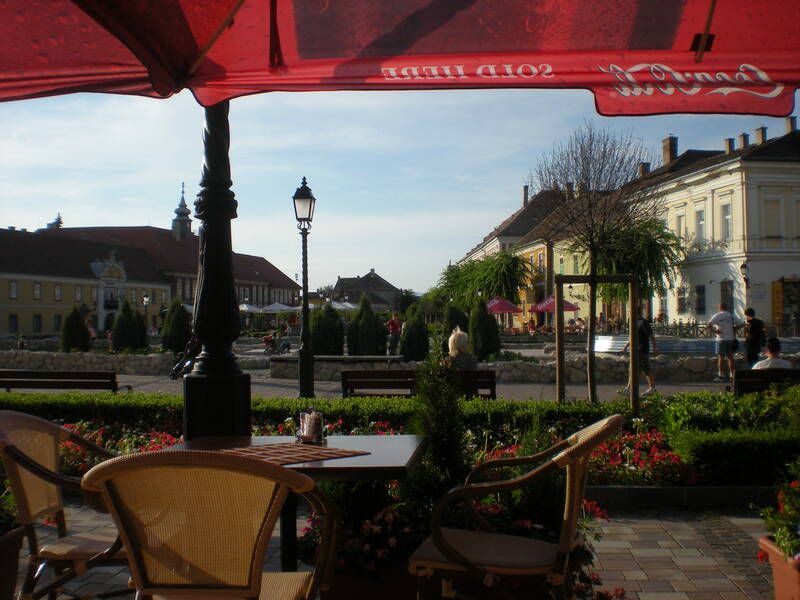 This weekend I’m off to one of the great historical towns in Hungary: Veszprém. I’ve been a reader for a while now and your posts are great! Are any of your photographs for sale? Backtrack through my email if so. I’d love to buy a few if available.